After the actor posted a photo of himself in 'Jerusalem, Israel', Israel haters went on the attack. Van Damme took one hour to break. Soon after actor Morgan Freeman posted a Facebook profile photo in which he was smiling against the background of Jerusalem's OId City, his Facebook page – which is "liked" by over 18.5 million people worldwide – has become a battleground for Israel's haters and lovers. It appears that what may set off the tirade against Freeman was the fact that he wrote under the photograph that it had been taken in "Jerusalem, Israel". Actor Jean-Claude Van Damme was similarly attacked two weeks ago when he wrote "Jerusalem, Israel" under a photo. It took the martial arts star an hour to change this to "Jerusalem", but Freeman has been standing strong for almost 24 hours. Freeman is currently promoting his National Geographic Channel series, "The Story of God with Morgan Freeman" which has been setting record ratings for the network and is the fourth most-watched telecast of all time for the US network. The six-part miniseries follows Freeman as he travels to 20 cities in seven different countries in a quest to find answers to the mysteries of faith. The photo was apparently taken when Freeman was filming in Israel, last October. Israelis joined the fray in Freeman's page and seem to have become the majority there. 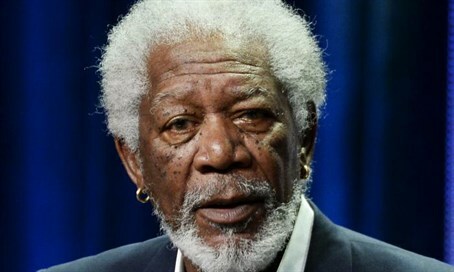 "Welcome to Israel, dear Morgan! ", wrote Lev Solodkin, a popular young nationalist Facebook figure and the son of a former MK. "So good to see you here, and to see the Israeli flag waving in the back of your photo – in the eternal capital of the Jewish people. Am Israel Hai!" "I loved you and appreciated you before", wrote Sarit Shatz, "and now I love you and respect you even more. Welcome to Israel and to my and my mother's birth city". Activist and terror survivor Kay Wilson wrote: "Thank you for coming with an open heart. Thank you for having a mind of your own and not giving in to bullies. May you be blessed with every single moment as you travel our wonderful country."